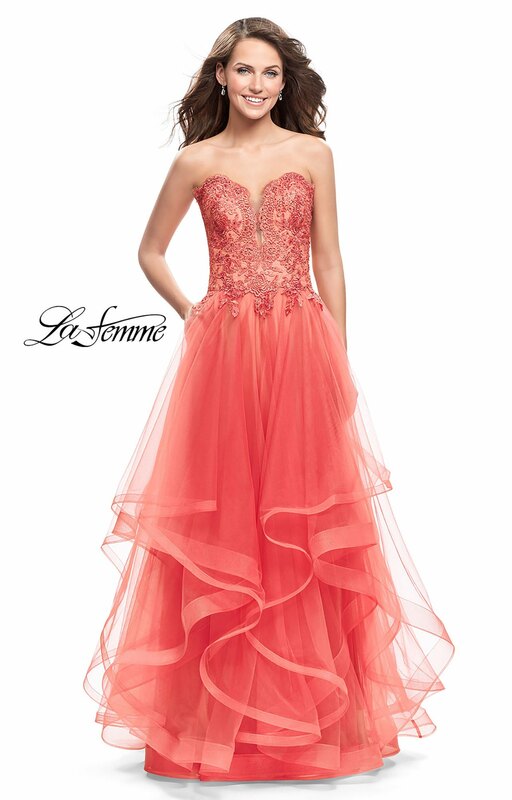 Jaws will hit the floor when they see you in La Femme 25515! 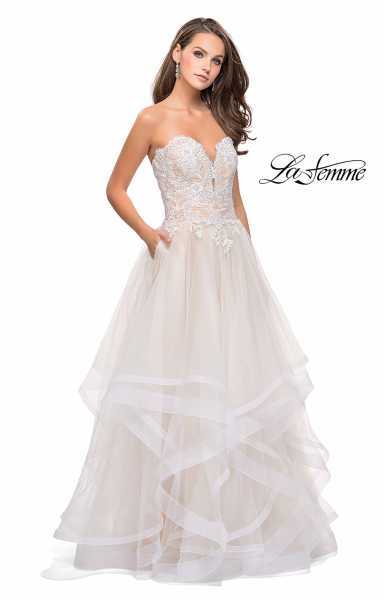 A strapless sweetheart bodice with beaded lace appliques meets a layered tulle skirt with horsehair edging that gives this look a flounced finish. 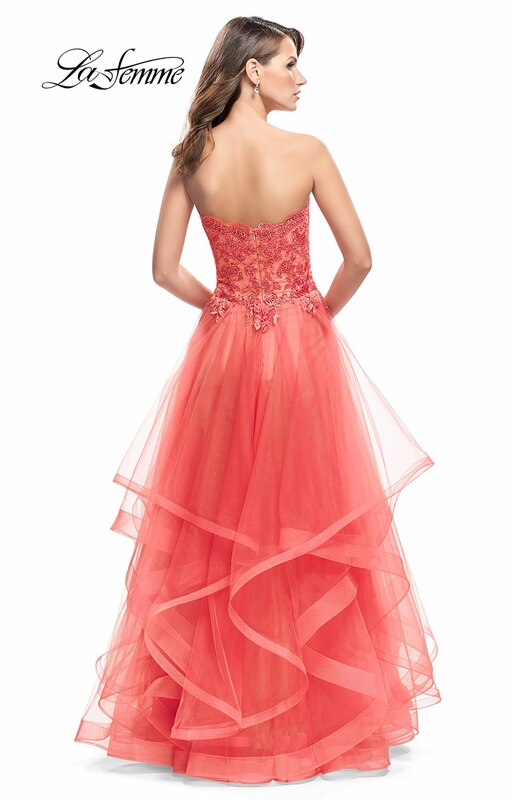 Complete with pockets for convenience!